The Velocity Diet – a miracle diet or another water drink? The Velocity Diet – a miracle diet, or another water pic? Hmm, a hard question. The water drink is not for sure, because it brings excellent results. Is a miracle diet? No, rather not. It is based on solid scientific foundations. However, it is not meant for everyone. I will write about it in pros and cons. VD is a highly personalized diet, good for everyone. We enter our data into the table and we get a ready diet with information when and what we need to eat. But you should also follow additional recommendations. 1. To balance the different types of fats consumed, we add natural peanut butter to the last shake consumed during the day. In addition, such a shake gives a feeling of fullness and is tasty. Each peanut butter is good, provided it is natural, so the ingredients are just nuts and salt. After opening, butter should be stored in a refrigerator. 2 Linseed – this source of, among others, healthy fats and fiber, has antioxidant properties and prevents cancer. 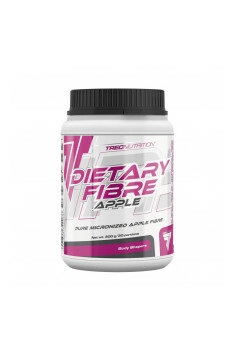 3 Fiber preparations – this is the only option; use them if you think you are not supplying it properly in your diet. We drink 5 shaks a day for 28 days. Once a week, we can eat one wholesome meal. There is no question of cheat meal. It’s supposed to be lean and healthy! After 28 days, we will start to consume more and more such meals. After this time, our body will be slimmer and more athletic, and then we kiss our old dietary habits for good luck. Once a week we will eat a wholesome meal in short HSM. It will not be a “cheated meal, but full-blown, consisting of proteins, vegetables and healthy coals. We will eat HSM instead of one of the shaki, so on the HSM day, drink 4 shaki, and instead of the fifth we eat a meal. HSM does not have to be fancy, we choose simple products, e.g. You’ll be amazed at how to clothe this meal, at the same time it will not make you feel over-consumed. But remember – once a week! Do not be tempted to give up a meal to speed up the diet. HSM is essential here, especially when it comes to taste and saturation. Do not devour the HSM, it would be the last thing you eat! Remember, eat with your head. Savor every bite, smell, pay attention to consistency and taste. Take at least 30 minutes for it. why? Because it will help you change your eating habits. If you stick to a 28-day plan, going back to regular meals will be easy. You will not be tempted, like other addicts, slimming people, because you’ve changed your habits for good. You will be surprised how quickly you will feel like. The transition is simple, and people who have made a diet properly and still have a fat to lose will lose it in this phase. It works like this. Week one – 1 HSM daily; which shaka you replace, depends only on you, but it is recommended that the last shake was low-calorie. Thanks to this you will not be able to spend the night. Week two – 2 HSM per day for this 2 or 3 shaki. You can do this as a shake as 1st, middle and last meal. Once again, we prevent overeating overnight, and in addition we have time for fast and wholesome breakfasts, and many people forget about it. The time after passing, or the last stage, is one in which you eat only 1 shake a day, and besides the same HSM. you can drink a shake when you miss HSM for a short night, if you feel full for breakfast, if you do not usually eat it. Most people remain permanently at this stage! shake a day guarantees the intake of the right amount of protein and prevents the diet from being disturbed due to an abandoned meal. 1. High-protein nutrient. Ideally, it would be a mixture containing whey protein isobath and micellar casein. This will allow us to feel saturated for a long time. 2. Form after training, designed to restore strength quickly, prevent catabolism and speed up regeneration. Examples of Universal Torrent, Golden Finish, After Shock, etc. 3. Fat burner. E.g. Hydroxycut, Leviathan, Scorch etc. 4. EPA / DHA fatty acids. We have a lot of such products on the market. 5. Set of antioxidants. E.g. Syntrax Radox. You can also use the lite version. And replace two meals a day with shaka. The best breakfast and dinner. I use it myself and at 2 kg forward, I lost in the circuits where it needs to be. Many people who use a diet will change it and experiment to make it work faster. Do not do this! If you are on a diet V, then be on it! Velocity Diet is like a machine – change one cog and everything will fall apart. Follow the recommendations and you have a successful brick! Find a hobby, because the side effect of VD is an excess of free time. The problem with shopping and cooking will disappear. It sounds great, but it can cause problems. Most people tend to overeat at night. And we did not have time to eat, and we relieve stress or sit with friends or have a television. Use this time for something other than mindless food. Increase your willpower with a full belly – it can happen that you will find yourself in different social situations related to food during your diet. Be prepared, especially at the beginning of the diet, when it is not so easy. It’s best to drink shaka right at the beginning of the season. You will be surprised how hard you feel full. Use a blender – but not because the protein dissolves badly, but because a few ice cubes make a big difference giving the milk-shaka effect and also forcing you to eat more slowly. To sum up If you are a completely healthy person, with no problems with heart and circulation, you know your body perfectly and you are aware that it is a very difficult diet and can cause mental problems. I recommend it. It is very effective. Periodic assessment of progress, through the use of the four most important tools below, will allow you to maintain responsibility, motivation on the way to the full transformation of your body. In short, success leaves a mark. V-nutritionists assess the changes that have taken place in their bodies, thanks to which they can make the necessary corrections that will allow them to achieve the assumed goal. Do not think about it, do it! To get accurate, most reliable data on the weight of your body, check it out in the morning. Before eating breakfast, and after leaving the bathroom. Always weighing at the same time and in the same conditions, you get the most objective result. Weigh ourselves once a week in the morning on the day of your healthy meal. Do not do it more often. Do not attach great importance to natural fluctuations in body weight.